Kevin McIntyre, FERC Chairman and Commissioner, dies. Kevin McIntyre, a member of the five-person Federal Energy Regulatory Commission (FERC), died January 2, 2019 at the age of 57, according to a January 2, 2019 report from The Hill. McIntyre, a Republican who had chaired the commission between his Senate confirmation in December 2017 and October 2018, had suffered from brain cancer. He had surgery in the summer of 2017 to remove a tumor and later declared he was in “excellent health” after the procedure. But his health later forced him to step down from his chairmanship, leading President Trump to appoint Neil Chatterjee to lead the body, though McIntyre stayed on as a commissioner. McIntyre oversaw an active time at FERC. He participated in a unanimous vote last January to reject Energy Secretary Rick Perry’s proposal to require higher electricity payments to coal and nuclear power plants, part of an ongoing Trump administration effort to bail out uneconomic plants. FERC later opened a proceeding to examine whether to reward certain plants for “resilience,” but hasn’t taken further action. McIntyre’s leadership also saw FERC start the process of overhauling how it approves natural gas pipelines, while approving numerous pipelines on partyline 3-2 votes. McIntyre’s death will leave a spot open on FERC. President Trump is responsible for nominating someone to the post. 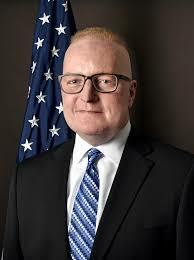 Former FERC commissioner and Chairman, Kevin McIntyre died January 2, 2019 at age 57. McIntyre oversaw an active time at FERC including starting the process of overhauling how it approves natural gas pipelines, while approving numerous pipelines on partyline 3-2 votes. President Trump is responsible for nominating someone to the post. Contact MIRATECH for stationary engine emission compliance solutions in oil and natural gas operations.